Sunday NOON to 9pm *Please contact the restaurant for outdoor Biergarten seating. Please contact for your specific needs. The Old Stein Oktoberfest style Biergarten has become a Maryland tradition. People come—from near and far—to gather in the Biergarten and enjoy the beautiful Fall weather while drinking the best German beers and tasting the finest German cuisine. Visit the Old Stein during Oktoberfest and you"re sure to have a blast singing along to German drinking songs while sampling traditional German fare. Check our web site www.oldstein-inn.com to see when you might catch Silvia strolling with her accordian or Heidi and the Helmut Echo with their alpenhorn. Prost! Beer was good. Service was not. I think we annoyed him in some way as the other tables that were filled after us got better service. Great place for foodies! 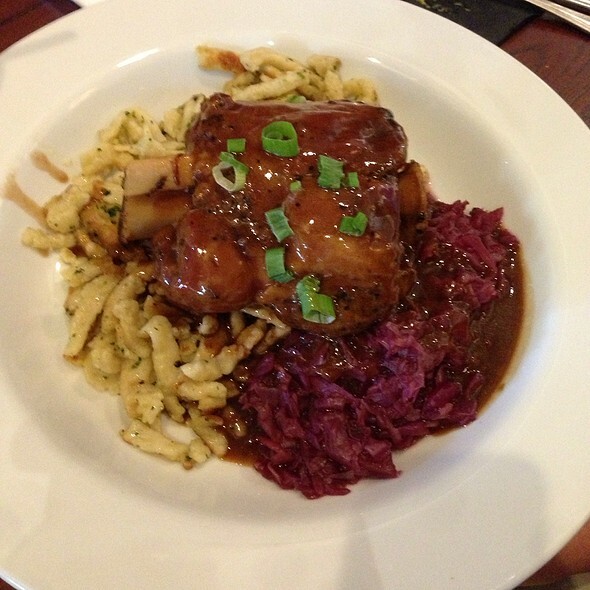 Worth the drive for authentic German food! Used Open Table to book reservation and requested a small dessert or something since it was our 16th anniversary. Nein. Asked to be seated in the Biergarten -- big mistake. Seated next to 8 big, hard-drinking guys dressed in lederhosen. This should've been my first clue to ask for a different table. Loud, obnoxious and after they broke a few of the big glass mugs, they finally left. Another thing with the servers that I absolutely abhor: They brought the main course about halfway through our soup. Despise when that happens. Ain't sending it back because we know what'll happen... gesundheit. Food is always tasty and fast! Service is always GREAT! Consistently great service and food. A real gem near Annapolis MD. We come here for all out of town guests and regularly come here for work functions and for special occasions. Good we not very good. Sides were cold. Seemed as though food was scraping the bottom of the pot of what we left. Very disappointed. Good food, but pricey. Happy hour in the bar is good. The food brings back memories of my German grandparent's meals when I was young. Very good. The only thing I can complain about is that the service was slow, however they were very busy being that it was a Saturday night. We were there for 2 hours. I definitely recommend the pretzel and potato pancakes for apps. They are amazing. And I really like their smoked sausage and spatzle. I don’t love their potato dumplings or potato salad. But overall I was very happy. Main course was very good schnitzel, but sides very ordinary. Excellent beer. 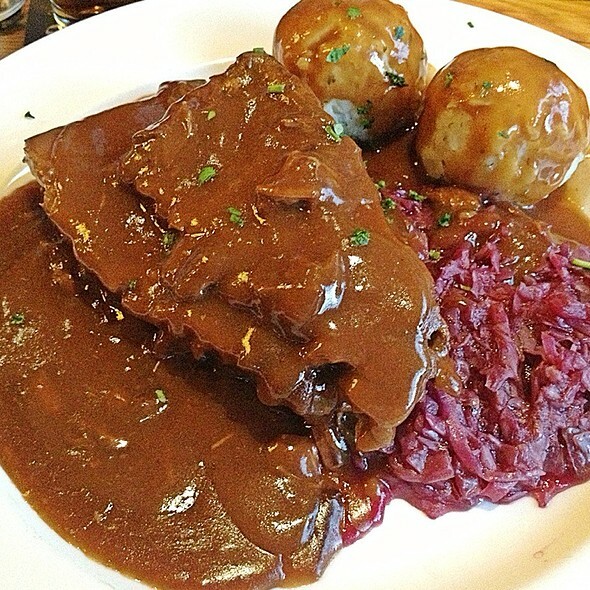 An excellent and casual place to find German food. Nice range of beers for every taste too. A wonderful experience with great food, cold beer, and family fun. It doesn’t get much better than that. The kids loved the live music and their food, which for those who have kids understand that’s hard to do at many dinning outs. If you're feeling a bit nostalgic for Germany or good German food and beer --- this is the place to come! We love the Old Stein and try to get there once month. They do German up right! The expanded back patio and bar is a great place to relax and enjoy beer, friends, and authentic German food. Live entertainment is great. The servers are always pleasant, patient, and prompt. Bring your family and friends and enjoy a fun time at the Old Stein Inn. The food is great and very consistent. We love the beer selections and always enjoy ourselves at Old Stein Inn! Our favorite dish was no available. The couple @ table next to us were arguing with zero regard for other guests. Restaurant staff too timid to call them out on it so we did. It was our 1st time there and we expected a good experience based on recommendations but we won't be rushing back there. What a great restaurant. Jake our server was superb and the food is spectacularly authentic. The smoked pork chops with a bit of house mustard was my favorite. Everything was fresh and I was blown away by the beer list. So much fun! excellent meal and experience. 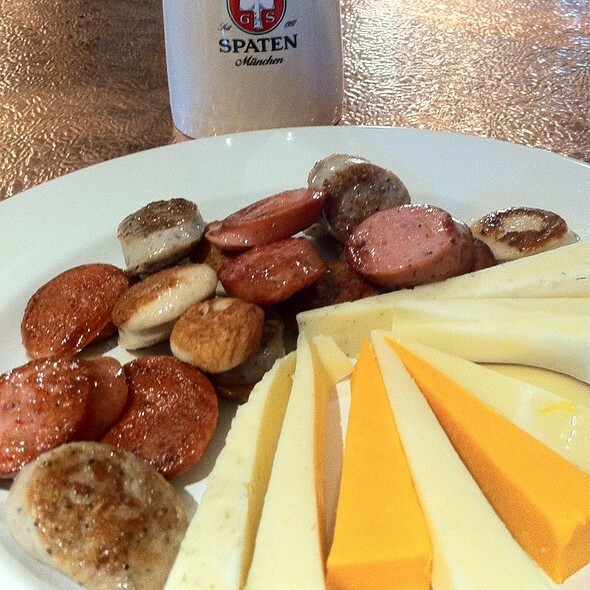 best place in the area to go for authentic German cuisine and atmosphere. I LOVE Old Stein! It's a unique and wonderful place. 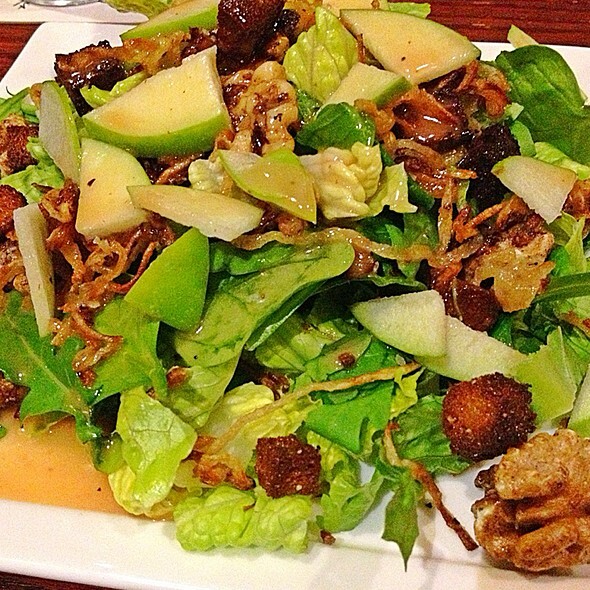 Atmosphere is comfortable, and the food is great! I really enjoy old stein inn. I’m German by heritage and was stationed in Germany when I was active duty. My criticism or observation for this specific visit is sometimes restaurants expand beyond what their kitchen staff can maintain with the same quality standards. 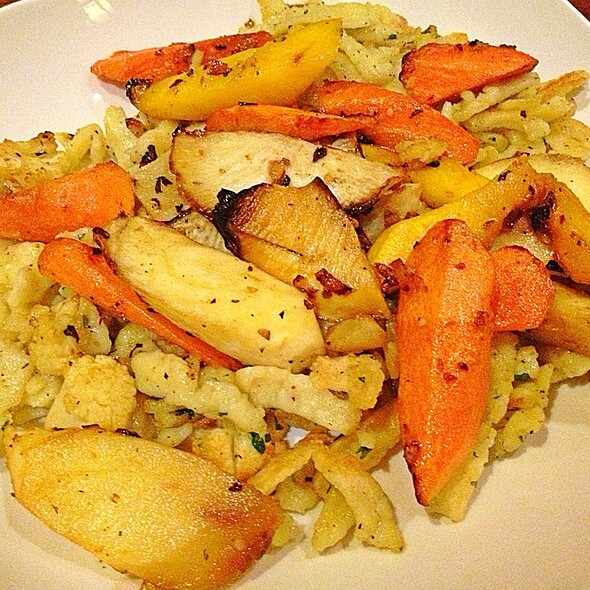 I noticed the menu had expanded significantly with largely trendy or as they called it seasonal foods. My dining partner ordered one of the trendy selections while I ordered a traditional German meal. Her meal looked fantastic and she happily consumed it. Mine on the other hand was just ok. The red cabbage over cooked, the rest serviceable but just ok. The last time I was there and before this expanded menu that same meal was meticulously prepared. Someone in the kitchen is not making sure all foods prepared have the same quality standards. This was our first visit, but we will be back.The food was tasty and well prepared. I had the sauerbratten, my fiancee had the sampler, and we both cleaned our plates. The food at the Old Stein Inn is as good as in Munich! Our server, Joe, was outstanding. Please thank him for us! The Continentals are a lot less talented than they think they; it was way too loud for those of us unfortunate enough to be seated close to musical combo to enjoy our dining experience. 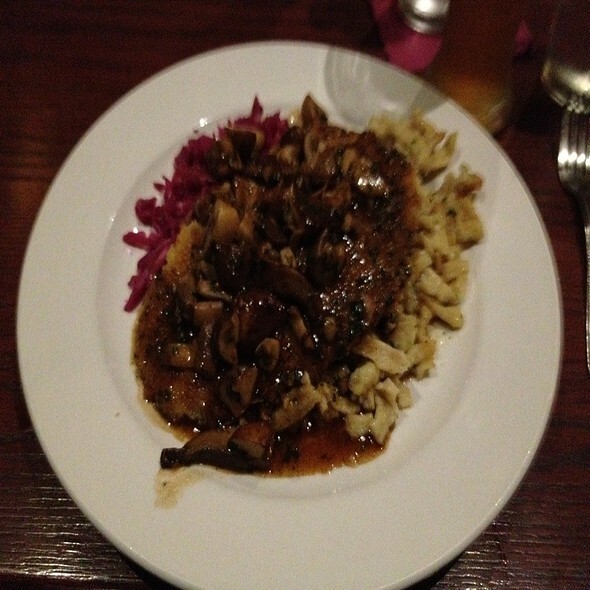 I go to Old Stein Inn to enjoy German food and beer and company. The noise impeded all three. Food and service are excellent. Live entertainment is too loud. Could not talk with family not seated next to me. Wonderful time seeing Mike and the Continentals. 😊 Thank you! Very nice atmosphere if seated “outside-outside”. There is also an inside -outside by the bar. 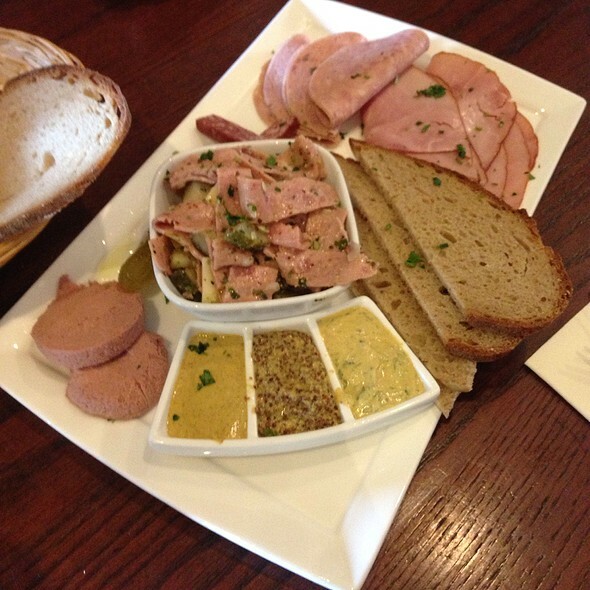 Charcuterie plate with liverwurst, Pate, and other Meats was excellent. Great beer selections, of course, and live German Music fun. 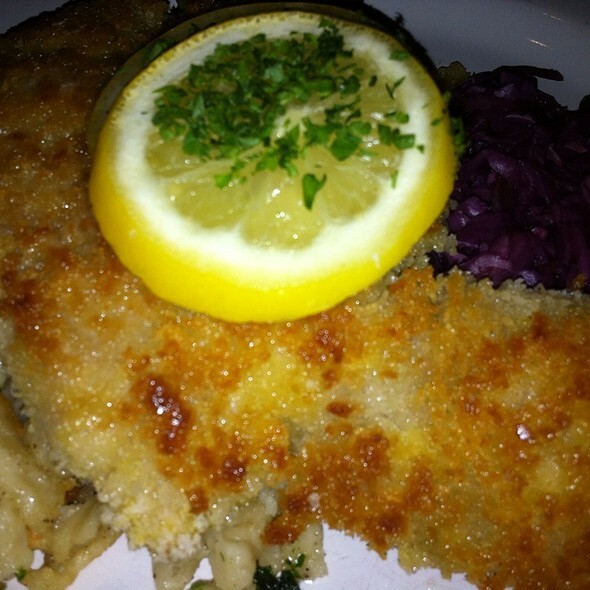 We tried jaeger schnitzel, short ribs and a crab cake. Peaches in grilled peach salad should have been more ripe, but everyone enjoyed their food. Spur of the moment decision but one we did not regret. Yummy food, great service, fun ambience! A good time was had by all. Everything’s always great at The Old Stein Inn. Don’t skip the crab and Muenster soup. Love this place! Always look forward to going back. Service was quick and friendly. Portions were good. Pork schnitzel was a little dry and tough. 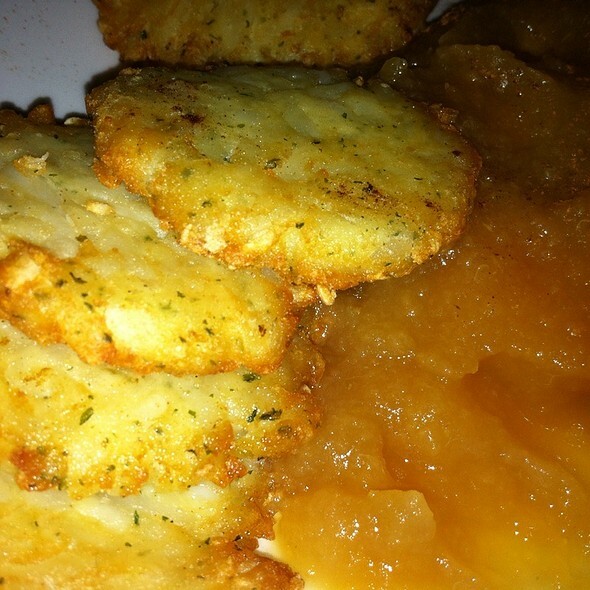 Potato pancakes needed additional seasoning. Food was good but as savory as I remember from my previous visits. Food was amazing, almost as good as my Oma used to make, and the bar selection is pretty good also. Honestly, GO.....you truly won't regret it.